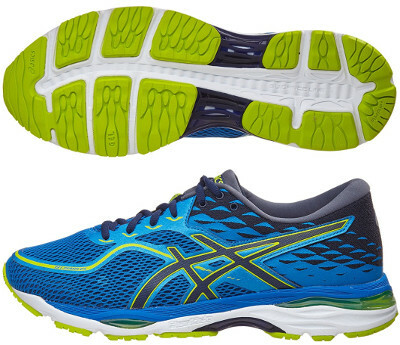 Asics Gel Cumulus 19 are neutral cushioned running shoes. The Asics Gel Cumulus 19 is one of the most popular running shoe with great blend of cushioning and responsiveness that make it suitable for both daily training and racing long distances up to marathon. Contrary to expectations, japanese brand decided to keep reliable FluidRide™ in midsole and not to use innovative FlyteFoam™ like in the premium Nimbus 19 so there are no changes in performance. Major highlight compared to its predecessor Cumulus 18 takes place in redesigned upper with more open mesh in the forefoot to increase ventilation (even typical toecap reinforcement has been removed) and more dense in the rearfoot to provide snug fit. Collar area has been reengineered to reduce trouble in Achilles following design from innovative MetaRun, something already available in premium Kayano 24. Rest of Cumulus 19 remains unchanged with firmer layer (SpEVA) on top of midsole for good response and classical GEL® units to absorb impact in both fore and rearfoot embedded in one FluidRide™ foam piece. Stiffness is provided by classic plastic shank (Trusstic System®) in midfoot while outsole keeps vertical flex groove (Guidance Line®) for smoother ride. AHAR+ rubber is used in more exposed areas for increased durability.